Terbium (III, IV) oxide (also known as tetraterbium heptaoxide) is relatively stable and easier to be stored. 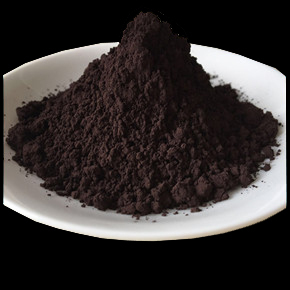 Terbium Oxide (Tb4O7) is one of the main commercial terbium compounds. Tb4O7 is usually used as the raw material to make other terbium chemicals. Terbium oxide is also an important compound for ceramic, electronic and optics products. Typical purity of our Terbium oxide is 99.99%, 99.999%. Our Terbium Oxide (Tb4O7) is carefully handled to minimize damage during storage and transportation and to preserve the quality of our product in its original condition. Great care is taken to avoid any damage which might be caused during storage or transportation. Please send us your inquiry for Terbium Oxide (Tb4O7) and other Terbium (Tb) products to sales@edge-techind.com.